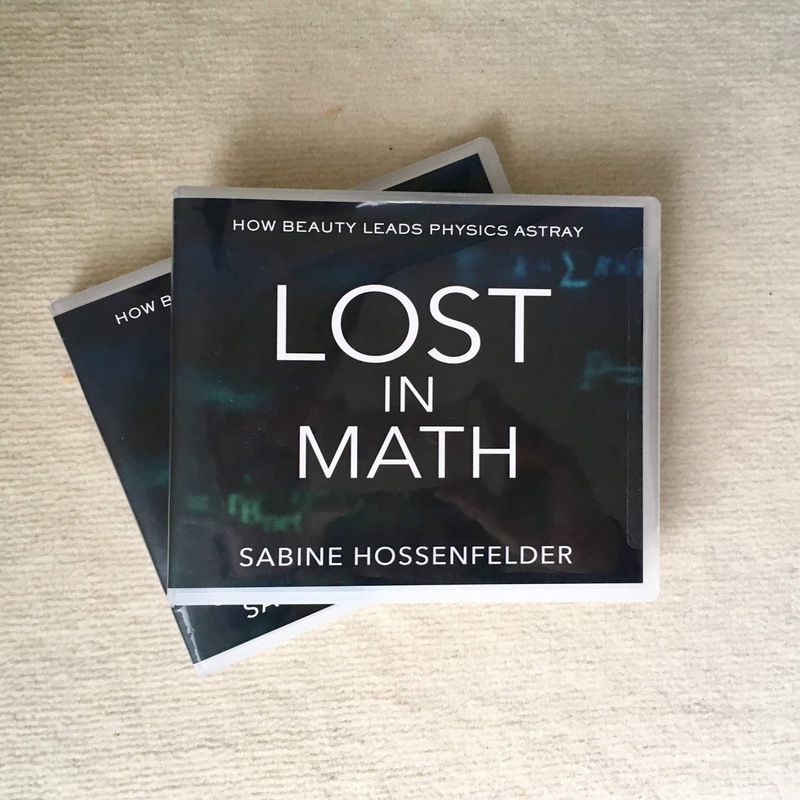 As a math major who often regretted not studying physics, I am enamored of both the title and the premise of the book. I hope one copy of that CD set can find its way to me. Thanks so much. I would very much like to listen to this, please. I have a passion for maths. I have a wide range of books here, such as "The Math Book" and "Algebra For Dummies". Maths was an underrated subject at school, one which wasn't always popular to admit to liking. But from algebra to prime numbers, it remains a fascinating and compelling subject, and one that can teach us much about the world. On a final note, as someone who likes detective fiction, there is no better "detective work" out there than the many maths-related puzzles one can find, some of which remain unsolved. I would like a copy of this book as a former field theorist who left the field for different pastures but kept an interest in it. I studied for my Ph.D. when string theory was becoming the new craze and did not jump on that bandwagon. Paul Owen, Stephen Parry: Congrats, you were first! Please send me an email to hossi[at]fias.uni-frankfurt.de with a shipping address and I will send the CDs your way. Andre: Sorry! You were, like, a second late. With all their faults, major and minor, I really loved reading Lee Smolin's The Trouble with Physics and Peter Woit's Not Even Wrong. I'd like to place your book (CD!) among these on my shelf. I read your blog, and it is always excellent. It fills my heart with glee when someone stands firm against the tide. No problem. I'll probably enjoy more the paper/ebook version. I need to clear up a backlog of other books I have to read first before I buy a copy. Im a curious physics student from Germany. I've come across this book before but I dont own a copy. I'd like to have a audio copy so that I can listen to it on the way to the university. I've only read Cpl of pages but listing to it would be an easy way to finish it. Hello. I’m not keen on Amazon, and I live in the UK (for however much longer there is a UK). But Amazon seems to be the only way of getting an English-language written version here, whether ebook or printed. Any ideas? Yes, that's because I don't have a publisher in the UK and I have pretty much given up hope I'll ever have one. I have been told, however, that some bookstores in the UK sell the book. Also, if you order it in the US, you certainly don't have to order it on amazon. You can, eg, also order it at Barnes and Noble. "I’m not keen on Amazon, and I live in the UK (for however much longer there is a UK). But Amazon seems to be the only way of getting an English-language written version here, whether ebook or printed. Any ideas?" While I am a fan of eBooks, I am not a fan of the Kindle, and not a fan of Amazon, and apparently this isn't available in ePub format, so I bought the paper book. I ordered it from a bookshop in Germany. It was shipped, probably from the USA. Perhaps you could do the same thing in England. "Professor Maxwell’s Duplicitous Demon: The Life and Science of James Clerk Maxwell "
will be available on Amazon UK on Feb. 7 but not on Amazon US until May 14. The cost of having the book shipped to the US from the UK is not prohibitive (for me) and i usually get delivery within 7-10 days. Thanks Sabine and Phillip. I’ll get it that way. Hello, Sabine. I would love to listen to the book. I do not know the language of math, though. I used to be a French-Romanian teacher back in Romania, and I live now in the States, working as a nurse. I would be very interested into the scientific paradigm, if u have such a thing, in your book. I am trying to apply it to my own research on sound. Thank you for your generosity! That's OK... I'll just keep reading the hardcover until it feels like my eyes are on fire. And I am absolutely tired... tired... of running into passages that convey precisely things I have thought or written previously, perhaps months, years, or even decades ago. The weirdest ones are the ones where I post one or more of those thoughts in a comment on BackReAction, then read the passage in Lost In Math the next night! Happened again last night... more than once! As for the audiobook, yes, it would be nice to have in addition to the print version, but could never take its place in my case. If I come to a concept that is difficult to grasp, I'll re-read it until I can. And, like some of my textbooks, there are some things in the book that I'll just have to move on from when it seems it's not going to happen any time soon... or ever (TCP/IP had some doozies). It seems such concepts might be more difficult to grasp when listening to an audio version. Since you said you don't have a CD player, I'll tell you that you don't need one. You can convert the CD's to MP3 files on your computer. If you have an application such as iTunes it's easy to do. I don't have a CD player either, so when I get a CD audio book from the library I convert it to MP3 and listen on my player. CD's are on their way out, and more and more audio books are available for download from libraries, so I seldom have to convert anymore. i just figured out why you may not be able to find a British publisher. 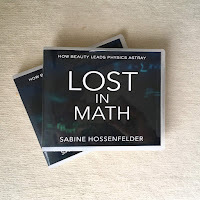 Perhaps, they don't recognize your book title which they would write as "Lost in Maths". when i wrote my 2nd book i had such as issue about its title "Modeling Nature" vs "Modelling Nature". as Churchill said " England and America are two nations separated by a common language". "If you've used Google+ for comments on your own or other sites, this feature will be removed from Blogger by February 4th and other sites by March 7th. All your Google+ comments on all sites will be deleted starting April 2, 2019." Not sure what you are quoting there. I am not using Google+ comments on this site. I tried this once, but turning on the feature would hide all already existing comments. So how do you switch without offending some hundreds of people who are trying to have a discussion or follow one? Blogger has had issues with their comment feature for many years. It works badly, to say the least. Anonymous comments, though strictly speaking turned off, have in practice returned with the many "Unknowns". And currently the only way to get rid of those is to turn off comments entirely. The spam filter is miserable. About half of the comments I currently get are junk. I believe that some time last year they have been working on an update. Suspecting so because I noticed some submitted comments were actually marked as responses to some other comment, though that's a feature which doesn't exist. Did anyone else notice that? Another option would be to use a 3rd party plugin. I have been thinking about this for some while. But I myself use an ad blocker that prevents those from loading and it seems a disadvantage. The link goes directly to the section quoted, but further info is available on the page. I thought it might affect this blog because, while my and some others' comments carry a "Blogger" badge beside the poster's name, some (including yours) carry a "G+" badge. It appears I'm signed in here with a regular "Google" account, though I did set up a G+ account at some point in the distant past only because I was forced to; always tried to avoid using it. Say about facebook what you wish, but anonymous insults are pretty much a non-problem there.